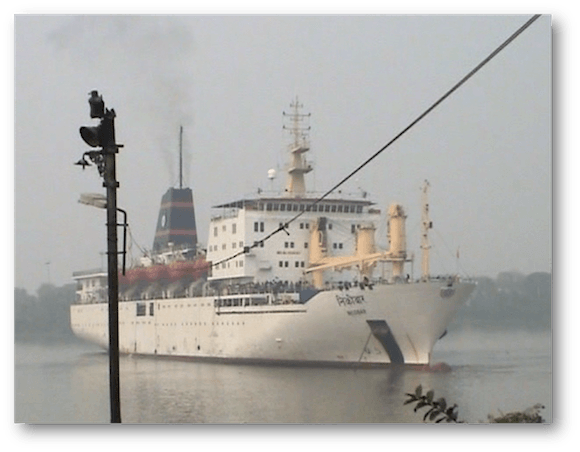 How a Ship is Berthed Using An Anchor? ГлавнаяМорское ЧтивоShip NavigationVarious Aspects of Ship HandlingHow a Ship is Berthed Using An Anchor? Mariners consider anchoring a ship to be an art. In fact, it’s also a form of science for it involves a sense of pivot, around which, a ship turns and imparts the stalling force to the ship. While berthing a ship alongside a jetty or a pier in tidal or windy conditions, the role of the ship’s anchor is extremely vital. Preferably, a ship must always approach the berth or a jetty stemming the tide (reduce the effect of the tide by cutting it) to ensure better control of the vessel. If the opposite is done when the ship is berthed, i.e. if the ship approaches the berth or jetty with the tide at its stern, the rudder effect is minimized as the tide plays with the stern. To turn the vessel, which is coming up the tidal estuary along with the tide, the anchor is dropped on the side towards which the vessel has to be turned. If the vessel is planned to turn on the starboard wheel, the starboard anchor is dropped. Likewise, if it’s planned to turn on the port wheel the port anchor is dropped.This is done to avoid the anchor chain going across the stern of the vessel after the swing. But before dropping the anchor, the ship’s speed is reduced to around 3 knots or less to minimize the chances of chain damage or damage to the ship’s equipment and hull. The Starboard anchor dropped and by pivoting it the vessel has started to swing. For a ship having a normal right-handed propeller, which comes up with the tide, the starboard anchor is dropped so as to take the advantage of the canting, i.e., swinging of the stern due to transverse thrust ( which is essentially a sideways force acting on the stern of the vessel moving forward or astern). The ship is brought up with the help of the anchor ( i.e. her way has stopped and the vessel is riding only on her anchor). Generally for obtaining maximum holding power of the ship’s anchor, the total anchor rode (The vessel is attached to the anchor by the rode, which is made of chain, cable, rope, or a combination of these) should be 4 to 7 times the depth of the water the ship will be anchoring in. If the anchor is designed to hold on the horizontal pull (like fluke or claw type anchors), more chain is paid out to give a lower angle of pull and the sag of the chain will give enough catenary effect to hold the ship. The final position of the vessel is assessed beforehand so as to keep enough leverage of the swing. The ship is swinging with the help of the tide which pushes it at the starboard quarter. Once the drag has stopped, the helm is kept hard over to the starboard and the tide starts pushing to the starboard quarter, turning the ship 180° to the starboard facing the tide. Once turned, the anchor is slowly weighed up. Then, by stemming the tide the ship is brought close to the jetty at an angle of 20° – 25° and the head rope is passed. If a tug is available to assist the berthing, it is placed on the stern side at the quarter of the opposite end to the ship’s side that is coming alongside. Pivoting the bow with the head-rope, which has now gone ashore and is ‘bar-tight’, the ship is brought alongside the jetty with the tug gently pushing the stern till the time the stern-line is safely ashore and the second officer has started heaving in. If the head rope becomes too tight, minor slack or adjustments are given from the shore to prevent it from parting. If there is no tug in the vicinity, a jollyboat takes the line ashore from the stern. 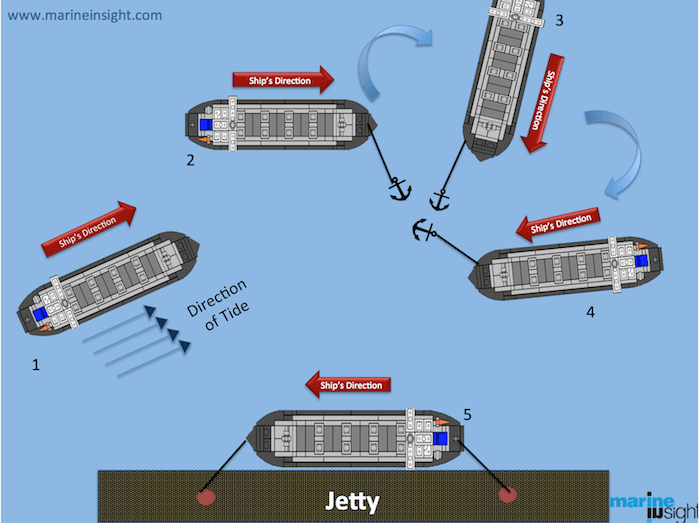 If the jollyboat is also unavailable, the ship’s stern is brought closer to the jetty with the help of the engines, with repeated slow kicks while pivoting the bow with the head-rope. 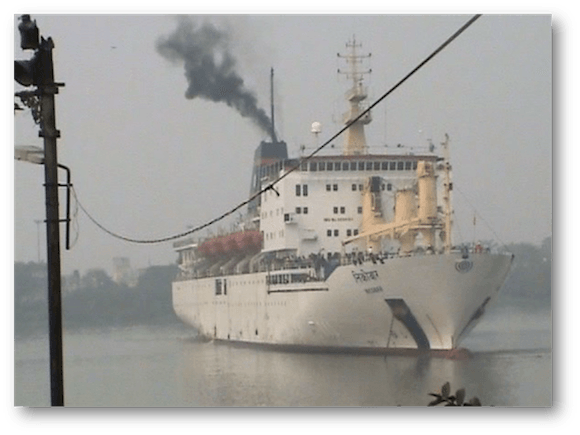 A pilot feels blessed if the ship has a bow and stern thrusters in such cases. These equipment tools make the job of a pilot much more easier.